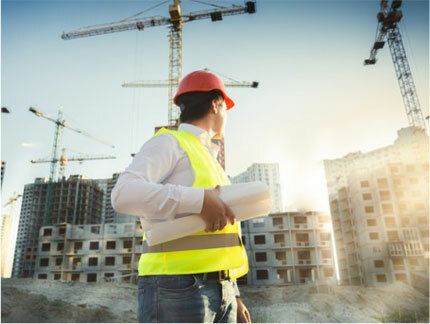 As an engineering services provider, Back Office Pro (BOP) offers civil engineering services support to aid planning, drafting, and construction aspects of both small, medium, and large projects. Helping clients with real estate, transportation, infrastructure, urban planning, public utilities, and environmental management, BOP provides cost-effective solutions to meet growing overhead and technology expenditure. BOP has a global pool of resources with experience and understanding of a wide range of civil engineering requirements. With ISO certified processes, quality assurance, latest technical know-how, dynamic project management tools, BOP enables clients to avail contemporary drafting and designing practices while meeting project and budget constraints when clients outsource civil engineering projects. BOP aides’ civil engineers, architects, town planners, real estate developers, and builders in pursuing innovative design projects. Degree in civil engineering or industrial technology with 3-5 years of relevant experience in all related fields including, land surveying, town planning, public utilities, designing, etc. Knowledge in AutoCAD, Autodesk Revit, Navis Works, Civil 3D, StadPro, MicroStation, GIS software, and more. Eye for detail and willingness to study projects in detail to provide the right kind of solutions. Prepares related engineering documents as well as developing construction specifications to note plansand schedules. Knowledge of international rule and regulations to ensure project adherence to construction specifications as well as safety standards. Land Development DesignBOP’s practical, aesthetic as well as environment-friendly designs for land development are backed by experienced resources with ample knowledge on the latest technological trends. These designs include due diligence, master planning, land development, site design. Etc. MEP Design and Drafting Services BOP offer end-to-end solutions right from concept design to completion help clients handle critical projects including civil, electrical, mechanical, plumbing (MEP) projects with ease. With expertise in MicroStation, AutoCAD, Revit, Navisworks, ELIT, EPLAN, Carrier-HAP & Train-Trace 600, etc., BOP has helped many international builders, architects, mechanical consultants as well as construction companies. HVAC Design ServicesThe skilled team at BOP offers design and drafting services forHeating, Ventilation, and Air Conditioning (HVAC) projects to the global clientele. These services are customized to provide project needs like scheduling, detailing, sizing, control diagram creation, legend creation, elevation drawings, shop drawings, heat load calculations, and more. Plumbing and Drainage Design We offer customized plumbing and drainage design services such as designing fixture units for hot and cold water among others. Construction Cost Estimation Our services include labor allowances, engineering activities, etc. to accurately estimate construction and building costs. Geospatial Drafting BOP uses geospatial technologies to provide world-class mapping services for accurate civil engineering drawings for various enterprise level requirements. BOP’s 2D/3D CAD mapping and analysis services are profile based to ensure data accuracy. Paper to CAD ConversionBOP’s CAD conversion services take digitization to another level by allowing upgrades to be marked while converting legacy files along with making it easy to store, retrieve, edit and share. Cost-effective services that help clients reduce overhead and infrastructure investments. Contact BOP for Civil Engineering Services Today! 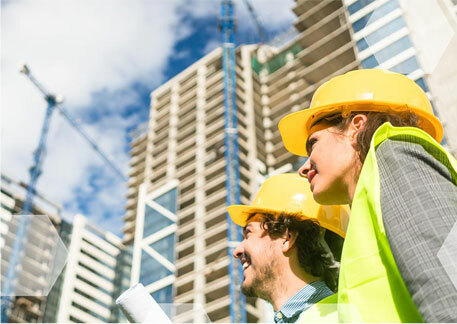 Back Office Pro offers a wide spectrum of engineering support services to help both small to large construction projects. BOP’s talented team of resources offer insight and value-adds that have helped various clients get the best out of their ROI. BOP’s contemporary designs and highly affordable prices make it a viable support services partner for civil, mechanical, architectural and electrical projects. Contact BOP today to learn how BOP’s skilled team can contribute to your civil engineering projects.